Hazel Grace, a sixteen year-old girl, was diagnosed with thyroid cancer at the age of thirteen. Hazel lives with her parents, who are very supporting and caring, are extremely worried for her health. 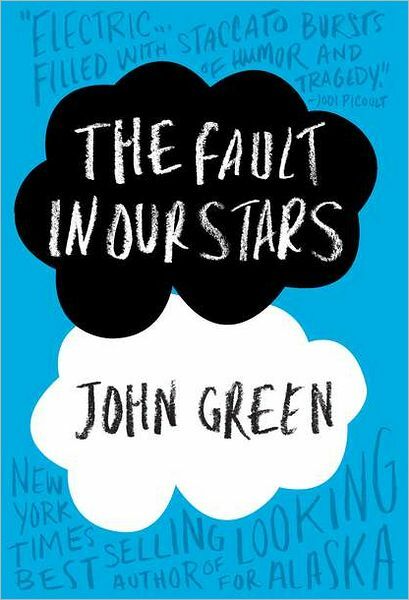 Since people with diseases have a greater chance to pass away, Hazel tries not to bring anyone else close to her, for she fears that she might ultimately hurt them.Even though she tries to keep her distance, Hazel almost instantly falls in love with Augustus Waters, a boy, from her support group. Augustus is a sixteen year-old boy, who is diagnosed with osteosarcoma. He and Hazel start dating. Hazel shows Augustus her favorite book, “An Imperial Affliction”, and the both of them found a common interest in it. Augustus, seeing Hazel’s love for the book, miraculously finds the email address of the assistant of Peter Van Houten, the writer of the book. Augustus used his wish, from the wish foundation, to buy tickets for Hazel to go see Peter Van Houten. It turns out that Houten is a very rude person, and he doesn’t answer any of Hazel’s questions about how the book would have ended. Augustus kindly offers that he will write an ending for Hazel to read. Hazel’s old way of thinking is taken over by her new perspectives on life. She used to think about how her death would impact the lives of people around her. After being with Augustus, Hazel now knows that even if one of the two of them die, they shouldn’t mourn their deaths, but cherish the spectacular time that they shared together. I really enjoyed reading this book. I have never read anything like it before. The plot of the story kept me flipping the pages. I never wanted to stop reading. The way that the author describes the characters and the surrounding environment, made me feel as though I was there within the book. My favorite part of the book, was when Hazel and Augustus talked about “An Imperial Affliction.” When they talk about it, the reader can tell that they are bonding and becoming closer. This helped strengthen their relationship. This section of the book also was the basis for other important parts. Overall, the book was not very hard to understand, but there were some challenging vocab words that I needed to look up. This book is great for ages above twelve. This book is spectacular and one of a kind. I would definitely rate it ten out of ten stars. 1. What is the main character’s name? 1a. The main character’s name is Hazel Grace. 2. What is the main character diagnosed with? 2a. She is diagnosed with thyroid cancer. 3. Who does the main character meet? 3a. Hazel meets Augustus Waters, at the support group. Augustus is diagnosed with osteosarcoma. 4.What is the main character’s favorite book? 4a. Her favorite book is “An Imperial Affliction”? 5. Who is the main character’s best friend? 5a. Her best friend is Kaitlyn. 1. Who does Hazel email? 1a. Hazel emails Peter Van Houten, her favorite author. 2. What does she email him about? 2a. She emails him about the ending of The Imperial Affliction, because in the book, there is no ending. 3. What does Augustus use his wish for? 3a. He uses it to take Hazel to Amsterdam, in order to talk to Peter Van Houten. 4. Who was Augustus’ last girlfriend. 4a. His last girlfriend was Caroline Mathers, and she also had cancer, but sadly, she passed away. 5. Why did Hazel go to the ICU? 5a. She had a lack of oxygen. 1. What does Augustus use his wish for? 1a. He uses his wish to get tickets for Hazel to go to visit Peter Van Houten. 2. Who is Peter Van Houten’s assistant? 2a. His assistant is Lidewij. 3. How did Peter Van Houten act, towards Hazel and Augustus? 3a. Peter Van Houten acts very rudely towards Hazel and Augustus. He calls them names, and he doesn’t answer any of Hazel’s questions. 4. Why is Hazel very sad, in the end of the book? 4a. Hazel is very sad because Augustus dies.? 5. How does the book end? 5a. The story ends when Hazel finds a letter that Augustus wrote to Peter Van Houten, before he died, about how much he liked Hazel.